Acne problem is like never ending drama right? Yet, I still think this is because of my cleanliness of sponge used and brush. I rarely took care of sponge as well as my blusher brush is like there all the time in make up bag, ready to use. So, today I am going take it all and wash it all clean. I promise, I promise. However, I still something to cover my acne marks as well as toner (the one I used is quite expensive and nearly empty). I have read about OXY acne mark cream from a .net blog but I don’t remember what does it call. Oh yeah, it calls streetlove.net, I guess. Just street love, you may found it. 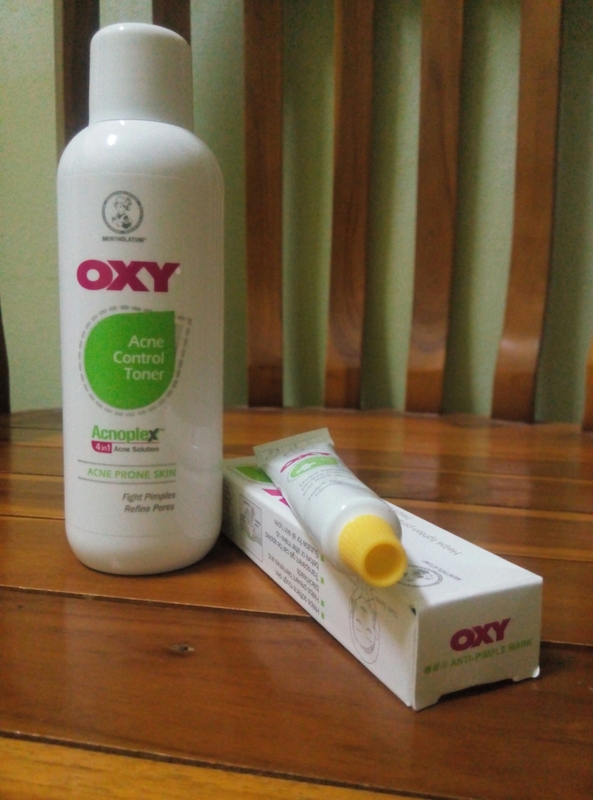 It says that this OXY acne mark cream is good and since I have been using OXY face wash (most of the type available), I love OXY. I feel much cleaner and fresh as well as it doesn’t dry out my skin. Before this I have been using Safi, since my mom used it, it works on my mom but not to me. My face became so dry that sometimes my skin peels off. So, yeah not for me. As for this toner, I have yet to try it, but since I think that OXY has been a very good product to me, so why not give this toner a chance. Currently, I am using Neutrogena. I love it, it works nice on skin but I am kind of tight on budget so I should product that much cheaper. Should I do a review on these both? I am no expert but yeah, what the heck? I will update on how I feel of these both. Next > A Clear Hint, perhaps?